While hardwood stairs serve as beautiful extensions of hardwood flooring, they are not always the safest sections of your home. They tend to be slippery, especially if your shoes carry water from walking outside or your socks don’t provide proper grip. The steeper the stairs, the more severe any fall-related injuries will be. Use these tips to make the steps within your home as safe as possible. Purchase non-slip stair treads from your local home improvement store to add considerable grip to each stair. Cut and press the treads down onto to outermost part of every step for best results. You can also use thin carpet runners to increase stair safety or paint them with a non-slip coating. Have at least one sturdy banister to hold onto while going up and down the stairs. If your home allows it, install handrails on either side of the stairs to keep you and other members of your household safe. Encourage everyone to always use the banisters, as they can hold on to them quickly if they slip. 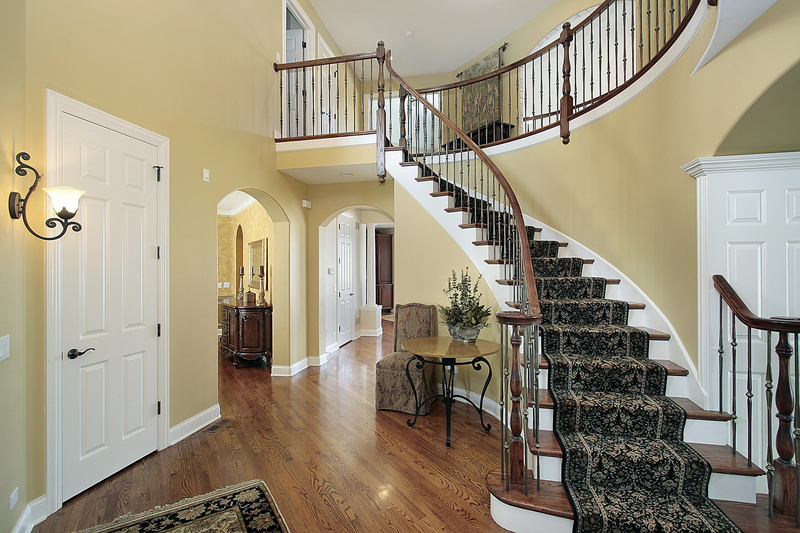 Install overhead lighting if it’s not already present to ensure that the hardwood stairs are always clearly visible. There are several lighting options to help you see each stair better at night, such as LED light strips that go under the handrails and stair treads. These options illuminate your stairs without compromising your energy bill. Use baby gates or similar dividers to block stairs. This is especially important if you have babies or toddlers in the house, or need to section the stairs off from animals. Older dogs and cats who have issues going up and down the stairs can easily fall, so they would benefit from this feature to keep them safe when you’re not home. The talented flooring contractors at General’s Hardwood Flooring have served Monroe County, NY, residents for nearly 20 years. Whether you need new hardwood stairs or require refinishing services, you can count on this company to provide beautiful results that last. Call (585) 303-5704 to schedule an appointment today or learn more about their hardwood services online.